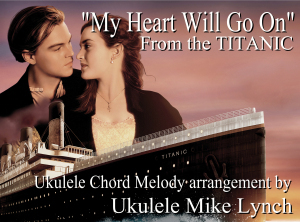 “My Heart Will Go On”, also called the “Love Theme from Titanic”, is the main theme song to the 1997 blockbuster film Titanic. Its music was composed by James Horner, its lyrics were written by Will Jennings, and it was produced by James Horner and Walter Afanasieff; Celine Dion recorded and released it. Originally released in 1997 on the Titanic soundtrack album and Dion’s album Let’s Talk About Love, the romantic song went to number 1 all over the world, including the United States, Canada, Ireland, United Kingdom and Australia. “My Heart Will Go On” was released in Australia and Germany on December 8, 1997, and in the rest of the world in January and February 1998.